Drone photo by alumnus Marc Bouchet. A new campuswide international rankings initiative has yielded improvements this year in each of the four major measures of colleges and universities across the world. The significant early progress shows that even modest efforts can make a major difference in how global audiences see Case Western Reserve—a perception that carries increasing impact for U.S. higher education institutions. 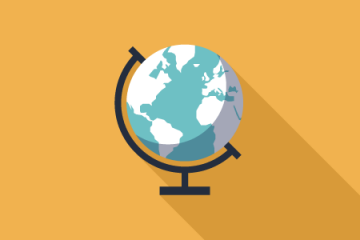 Rankings can play a pivotal role in the choices international students make to continue their educations—and also influence decisions involving educational and research collaborations. In the fall of 2016, Vice Provost for International Affairs David Fleshler and Associate Provost and University Librarian Arnold Hirshon began working to draw attention to the opportunities and challenges of international rankings. The issue resonated strongly among several faculty and, by the spring of 2017, Fleshler and Hirshon began convening administrators, staff and faculty from across multiple departments as an International Rankings Committee. With guidance from a consultant familiar with nuances of the various ratings services, the committee learned more about the various indicators and methodologies different organizations applied to their lists. During the process, committee members recognized that the university could improve its standing simply by providing more consistent, accurate and thorough information to ranking organizations. From that effort, the Office of Institutional Research has begun submitting more complete and precise data to ranking organizations. Kelvin Smith Library has worked extensively on the university’s bibliometrics—cleaning up data on faculty citations. And the Center for International Affairs has created initiatives to enhance the university’s global reputation. Simon Peck, associate professor of design and innovation at the Weatherhead School of Management, and Victoria Wright, associate vice president for University Planning and Administration, provided additional leadership. 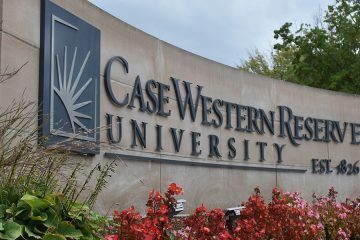 In the 2019 Times Higher Education (THE) World University Rankings, Case Western Reserve moved to 132 from 158. Case Western Reserve moved to 186 from 213 in the 2019 QS World University Rankings. In the 2018 CWTS Leiden Ranking, which analyzed 938 universities based on the number of Web of Science indexed publications, Case Western Reserve jumped to 57 from 143. In the Academic Ranking of World Universities, the university edged up to 123 from 124. The most recent ratings, the 2019 Times Higher Education World University Rankings announced just last week, evaluated 1,258 universities from 86 countries on such metrics as teaching, research, international outlook, reputation and more. 40.8 from 36.7 in Industry Income (corporate investment for research).